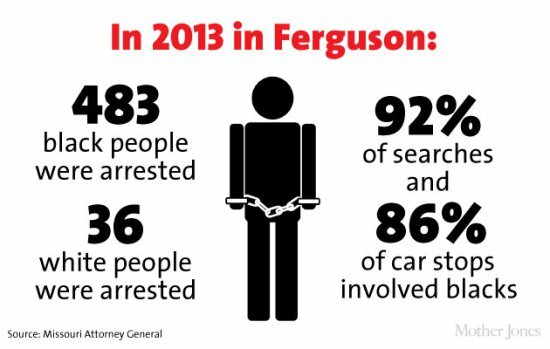 In Ferguson, Missouri, citizens and activists prepare for injustice, while government and law enforcement prepare for outraged reaction to injustice. But what about preparing for the justice Ferguson, and America, really needs? 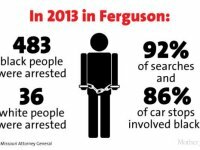 As it waits to hear whether the grand jury will indict officer Darren Wilson in the death of unarmed black teenager Michael Brown, Ferguson is preparing for the worst: that the grand jury will decide not to indict Wilson, leading to more outrage and unrest in the streets of Ferguson. Governor Jay Nixon has declared a state of emergency, and activated the state’s National Guard in advance of the decision. St. Louis County Police have ordered $170,000 in new equipment, including riot helmets, shields, teargas, grenades, batons, pepper balls, and CS sting grenades. St. Louis Police Chief Sam Dotson has ordered $325,000 in undisclosed equipment to use on protestors. Ferguson police have asked for a no-fly zone over Ferguson, to keep the media out. Only police helicopters and commercial flights will be allowed. 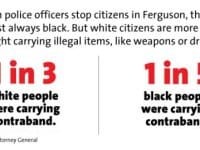 Gun sales have spiked in Ferguson. One gun shop saw a 700 percent increase in sales. Speculation over further unrest misses the point that the anger and frustration seen in Ferguson is much bigger than the death of Michael Brown or the indictment of Darren Wilson. As one, young Ferguson protestor put it, Michael Brown was just the final straw. 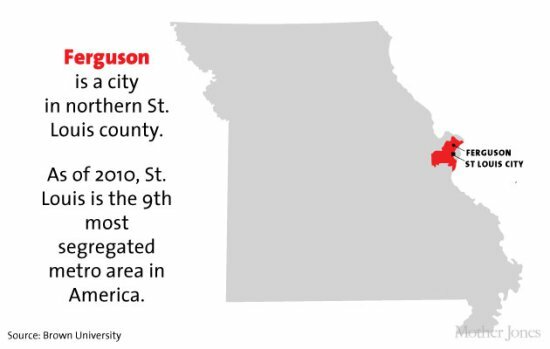 Ferguson was a city of stark racial disparities long before Michael Brown’s death. Starting in the Jim Crow era, city planning councils prevented “colored people” from moving into “finer residential districts,” and designated areas in, or adjacent to black neighborhoods for industrial development, and using industrial areas as a buffer between back and white neighborhoods. Black neighborhood were denied public services — like streetlights, garbage collection, access to municipal water. Government policy effectively turned those neighborhoods into slums. White homeowners came to associate blacks with slum dwelling, leading to problems when black families tried to buy homes in white neighborhoods. By the 30s and 40s, cities began clearing slums to use for “better and higher purposes,” like building waterfront development, highway exchanges, and universities. Meanwhile, the when the New Deal built the first public housing in America, the Public Works Administration’s (PWA) “neighborhood composition rule” perpetuated municipal segregationist policies, by stipulating that public housing project could not alter the racial composition of the neighborhoods where they were built. The PWA even segregated its work crews across the country. Blacks were pushed into areas like Ferguson. Meanwhile, whites moved to outer-suburbs, where restrictive covenants prohibited white homeowners from selling to blacks. These covenants began as private commitments between neighbors, but were soon adopted by real estate boards. The Federal Housing Administration (FHA) subsidized the mass production of suburbs, but would not guarantee loans to blacks. By the 1950s, government policies had depopulated central cities of whites, and blacks replaced whites in public housing projects, like St. Louis’ infamous Pruitt-Igoe towers. Most of the government policies Rothstein cites were no longer in place by the early 1970s. But as Ta-Nehisi Coates explained on Bill Moyers’ program, the consequences outlived the policies themselves. It wasn’t just housing policy. Rothstein writes that government support of a segregated labor market supplemented racist housing policies, and “prevented most African-American families from acquiring the economic strength to move into middle class neighborhoods,” even if they’d been allowed to. 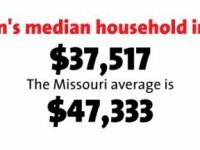 Again, the economic consequences are still with us, as Sherrliyn Ifill pointed out during EPI’s “The Making of Ferguson” forum. None of this is likely to be discussed in the event of unrest after the Ferguson grand jury’s decision is announced. 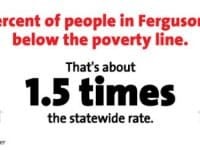 It was once well-known history, but it has been conveniently forgotten in favor of easy answers that blame “white flight” and a “culture of poverty” for the disparities that led to despair that exploded into outrage on the streets of Ferguson. 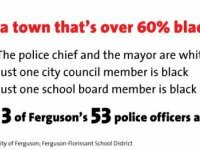 Preparing for outrage and injustice will not save Ferguson, or prevent the next city that’s “one dead black teenager away” from becoming “the next Ferguson.” Nor will, for that matter, an indictment. 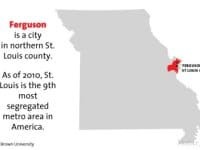 Nothing will truly prevent “the next Ferguson” until we decide to prepare for justice, by undoing the damage done by decades of policies that went into the making of Ferguson, and cities like it across the country.